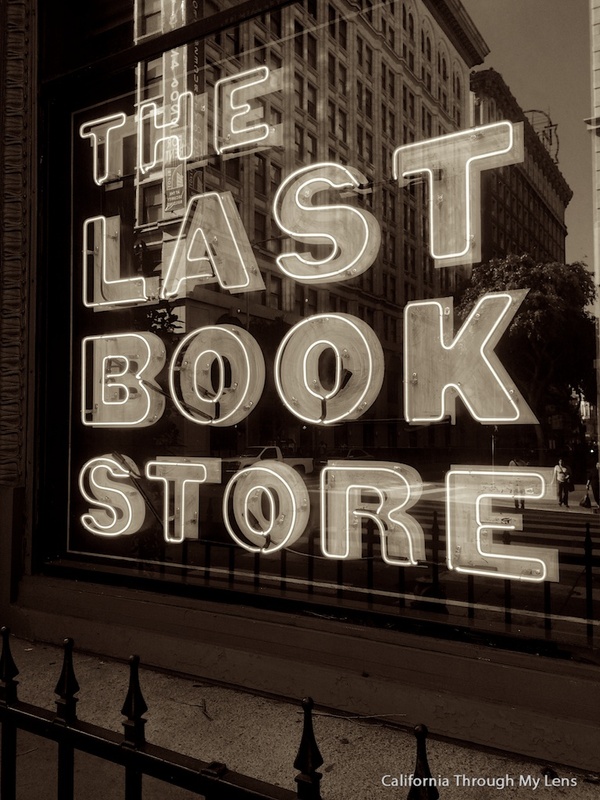 With the advent of the internet and stores like Amazon, it has been a hard time for traditional bookstores and many big brands have fallen along the wayside. There are however some book stores that create really great experiences and have been able to not only survive, but to thrive. 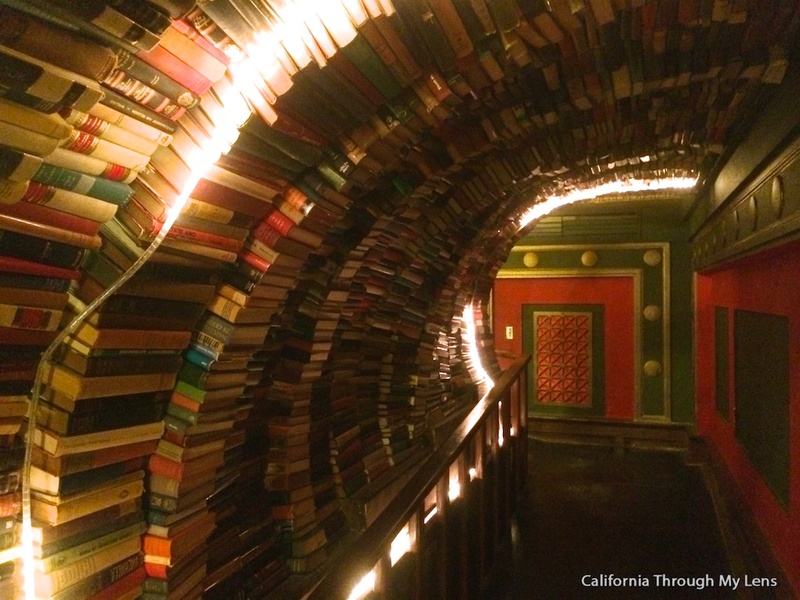 Examples of this are places like Powells Books in Portland and The Last Bookstore in LA. 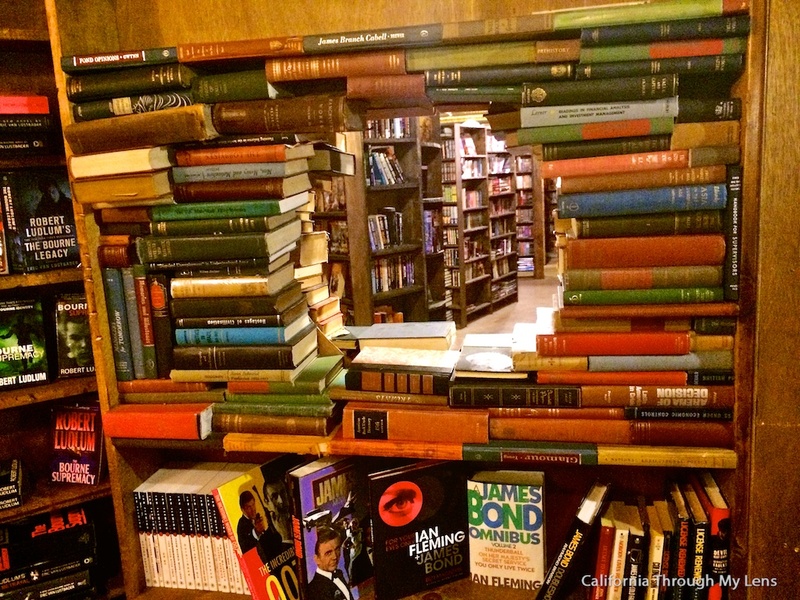 While The Last Bookstore is only a quarter of the size of Powells Books, it makes up for it in its unique presentation and rarity of the books, with everything from an old bank safe that houses horror novels to a book tunnel. Here is the review. Pay parking can be found on 4th & Spring and varies from $4-$8 to park. 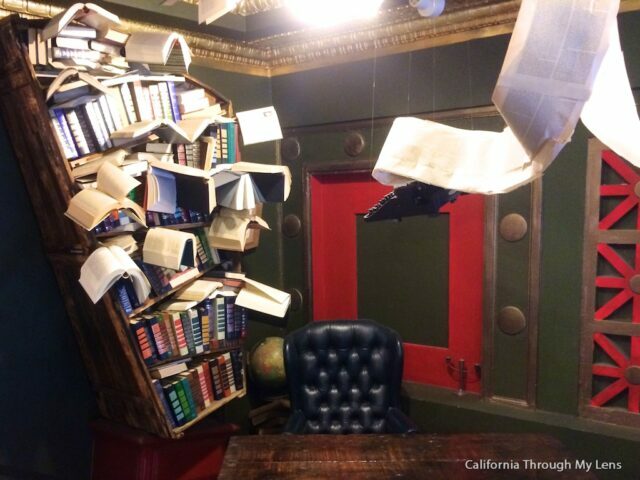 This bookstore is the brainchild of Josh Spencer and is housed in an old turn of the century bank. This 10,000 square foot store opened in June of 2011 after outgrowing its small, less than 1000 square foot space down the street. It has been holding events and entertaining book lovers since then. 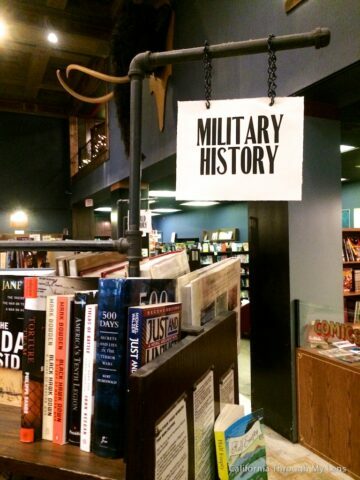 When you enter the store you are immediately overwhelmed with the smell of old books, and to me that is a good thing, as they smell like a mix of history and adventure. The bottom floor is like a traditional book store with many of the same ailses full of all of the categories you love in a bookstore. There are old plush leather chairs, couches to relax on and even small sections of records and dvds if you are interested in those. 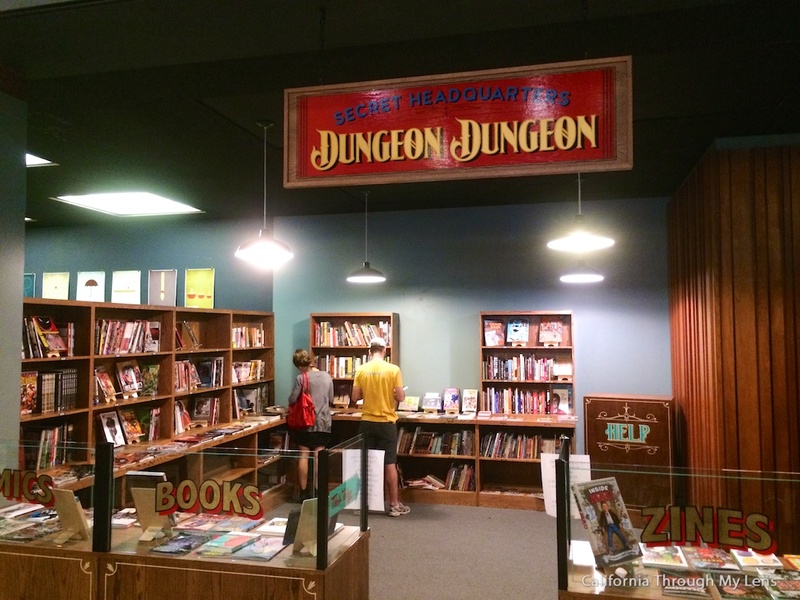 My favorite section in the bottom floor is the section of “oddities” which just means comics and graphic novels (one of my favorite things to read). After checking that out I headed up to the second floor. The second floor is much more unique than the first. 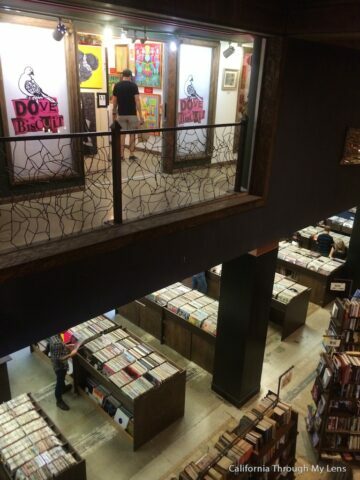 I especially liked being able to have a vista point to look over the below floor as it provided a beautiful view to see people actually enjoying the art of books and it helps you understand how big this place really is. The first area you will enter is the sci-fi area and it complete with maze like ailse of floor to ceiling books. There is even a shelf that has a hole created with the books you can look through. The highlight of this area though is the old bank safe where you can see their collection of horror books. 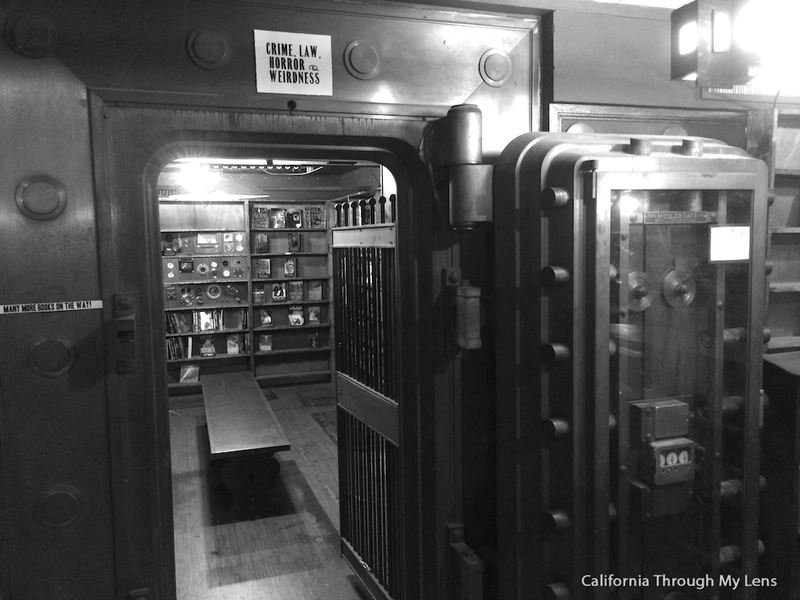 It is awesome and I love that they have kept the history of the bank here as well. 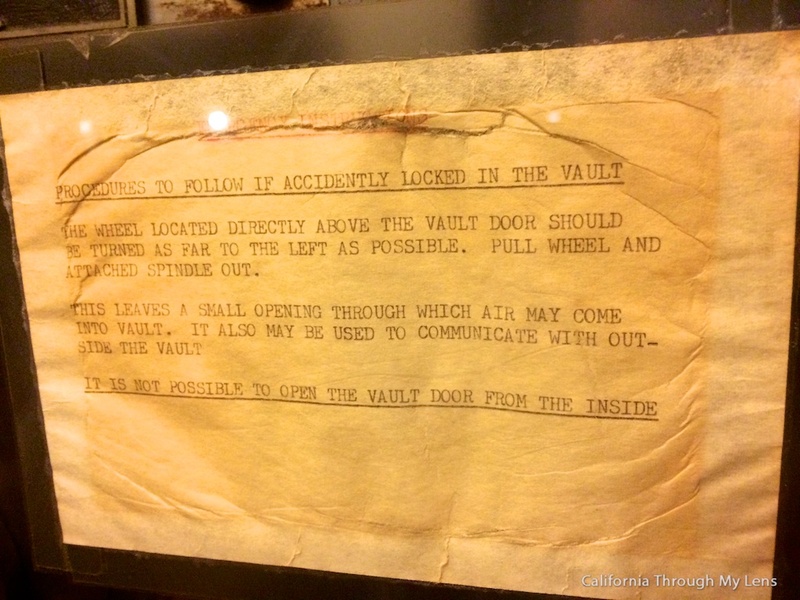 Just in case you get locked in, here is what to do. When you leave this section you will walk under the book tunnel to get to the next area. The rest of the upper area has a lot more books and aisles with lots of unique pieces of art scattered around creating a fun reason to turn every corner. There are also three small shops that focus on artists from the area and offer their art for purchase. All of this provides for a store that you really can get lost in. 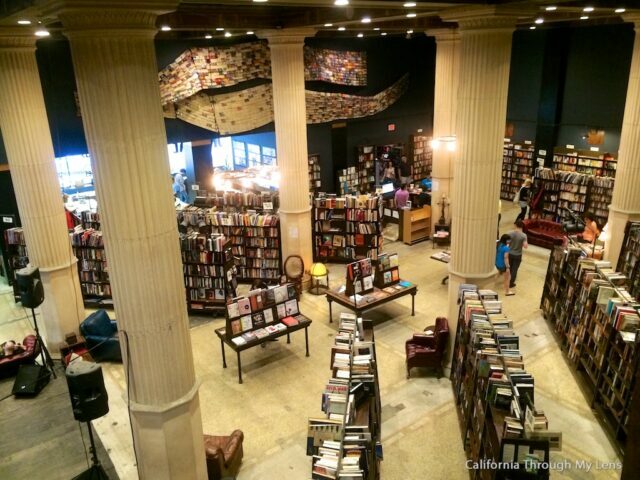 The Last Bookstore is a great bookstore and a fun place to spend an afternoon. I am really happy to have found it and wished that I lived closer so that I could attend some of the events. Also, I wish there was a coffee shop so I could have a drink and lose myself in a book while here as well. I highly recommend it and I hope it continues to be successful.